Does your battery die? Does your alternator or battery light come on? We can fix your car! We take care of your car inside and out. Bumper to bumper service. No job is too small. We are not out to make every dollar in town, but we are out to earn your trust. Many inspections are free and we NEVER do any work without consulting you first. Give us a call and see if we can help you. Take a look and see if any of these things sound familiar? "I just spent $1,200.00 and the car still has the same problem!" If we don't correct the problem we said we would, you don't pay! "I have taken my car back 4 times and it still isn't right? 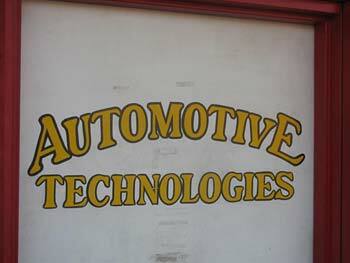 We test drive with you to verify the problem and then again when its gone. "The bill was much higher than what they quoted me!" Our invoices will NEVER be higher than what we discuss with you. "It always takes so long to fix my car!" 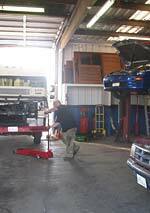 We try to be as up front as possible on repair time, parts availability and machine shop services. Mark Mendenhall has been fixing cars since he was 14. He has been ASE certified since 1991.